Motorola Moto G one the much awaited phone finally launched in India. 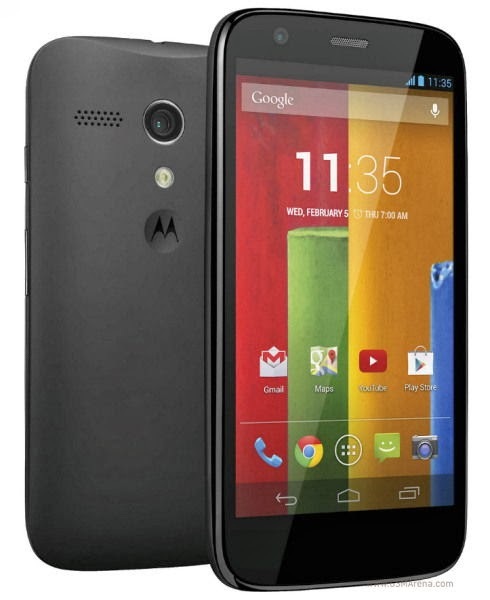 The phone is a budget offering by Motorola. It has a 4.5 inch HD display with IPS technology and Corning gorilla glass protection on top. It runs on Android 4.3 out of the box and can be upgraded to Android 4.4 KitKat. Phone is powered by one. The phone is powered by 1.2GHz quad core Qualcomm Snapdragon processor. Motorola ensured about the future android updates for the device. At the back has 5 megapixel camera capable of recording 720p HD videos. Moto G users will get free 50GB of Google drive usage for 2 years Under the hood it has a 2070mAh non removable battery. It is in competition with Micromax Canvas Turbo and other smartphones.